Completely heartbreaking and amazing! There is no review that I could write to do this book the justice that it deserves. This is one of those books that will stay with you long after you've finished and makes you really feel like the characters are real. 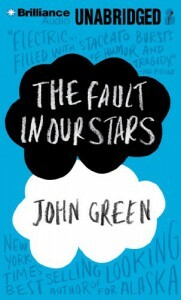 You will love Hazel Grace and Augustus just as you will ache for them. TEN STARS!! !